I will be received a copy of this Blu-ray for my review. All opinions are my own. 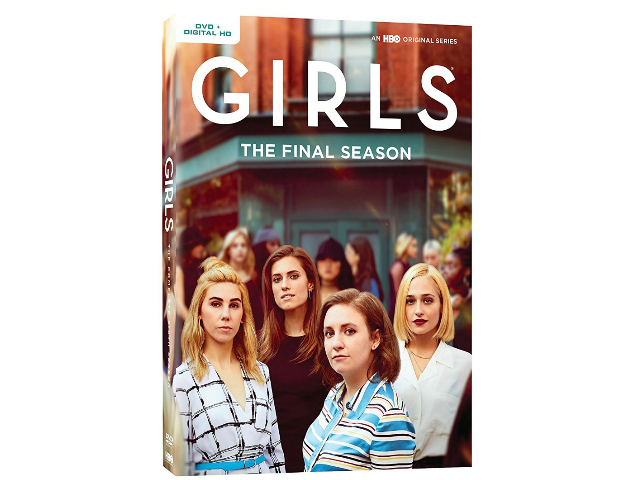 Girls The Final Season continues to follow a group of 20 something friends in New York City as they navigate through life. The writing has always been clever with funny one liners. It gives a more realistic depiction of life after college living in the big city. If you have not watched the first five season I recommend you do so before watching the final season. On BLU-RAY and DVD available NOW! In the final season of GIRLS it picks up six months after season five ended with Hannah, enjoying success as a writer while her roommate and bestie Elijah considers finally getting serious about his acting career. Marnie, now in a relationship with Ray, seeks to maintain her independence after divorcing Desi. Now also a couple, Jessa and Adam decide to embark on a creative project to channel their passions, which could become a source of contention. And Shoshanna finds herself professionally on the right path, though personally, she realizes that her friendships may be holding her back. A time for closing chapters and new beginnings, Girls follows our four familiar friends as they attempt to get closer to becoming the women they always envisioned...even as life sometimes gets in the way. Girls has continued to be a favourite for me during the last 6 years and the way it ended was nearly perfect. The only reason I say nearly perfect is that the show left me wanting more. I want to know how Hannah's life continues to progress.